At its core, the Williston+ Program is about the power of collaboration; great things can happen with a fine independent school collaborates with its outstanding higher education neighbors. By working closely with the Five Colleges, Williston finds the right resources to give students multiple perspectives on the subjects that interest them the most. And with Williston’s close relationships with the Five Colleges, the topics for our students to explore are limitless. In other words, collaborative learning works, collaborative learning is fun, and collaborative learning at Williston provides students with awesome opportunities to work with some of the most creative minds in the country. It also gives our faculty some cool opportunities as well. 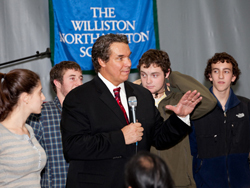 In advance of a visit to campus by world-famous author and humanitarian Greg Mortenson, students taking World Civilizations and Advanced Placement Comparative Government traveled to UMass to see a performance of the stage version of Mortenson’s book, Three Cups of Tea. Later that week, these students had the opportunity to meet the actors when they came to Williston and led dicsussion groups. 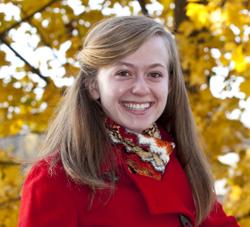 Becca McDonald ’11 spent the last semester studying Arabic at Hampshire College. Cross-registration for classes at the Five Colleges is available to Williston seniors through the Williston+Program. 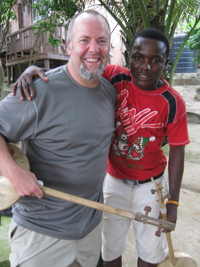 Music Teacher Ben Demerath visited Ghana over the summer as part of the UMass/This World Music program. His trip was sponsored in part by the Williston Plus Program. You can read about Mr. Demerath’s adventures on his blog.